How to Reduce Image Size When Click? A common problem of high regulation camera phones re the image size is too high and takes a lot of space. Due to this you cannot store a lot of photos or the photos take lots of space, even you have large huge memory system. The problem is due to high regulation photos and videos you cannot store other apps or data. Today there are many applications that fit on your phone to reduce image size. But there you need to select the photo and compress manually one by one. Another difficulty with that you lost the original photo. Don’t worry, there is a way of compressing photo size when you click it. An application for android user known as FotoFox whose function is to compress photo size when click. This app reduces image size at the rate or around 10% of the original image and video. 1) Compress photo size in 10% of the original. 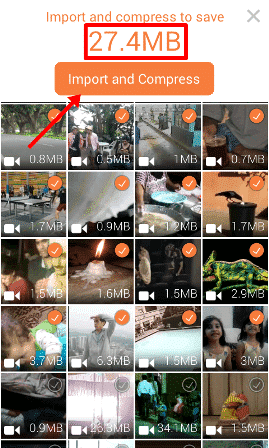 2) You can store 10 times more videos and images in your phone. 3) Photo can be compressed at the time of the click. 4) Original photo store in a private cloud server. 5) You can download photo any time any where. 6) Full security about the phone, never share. 7) Unlimited space for uploading photo. 8) No need to upload manuals or compress photo size. 9) Automatic reduce image size and upload in original size. FotoFox is very simple to install and use you no need to any specialization to use it. You can find the app in Google play store or by clicking the following link. It is as simple as using a camera on your phone. This app is no longer available in Play Store. 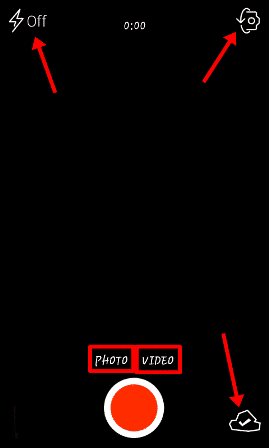 After installing when you open the application it open with your phone camera and on the screen you can see various options like video shooting, photo, camera rotation and flash options. After clicking the photo you can see the viewing option like other camera application. Click there to view images that you click. Here you can see the original size and the uploaded image size, here you also can download and import other photo to upload. You can use this application for instant reduce image size and video size. This is one of the best methods to reduce image size and use your phone memory frequently. The best application is because is compress photo size to almost 10% of the original and upload it to a cloud server that mean you did not loss the original photo and also give a full security.